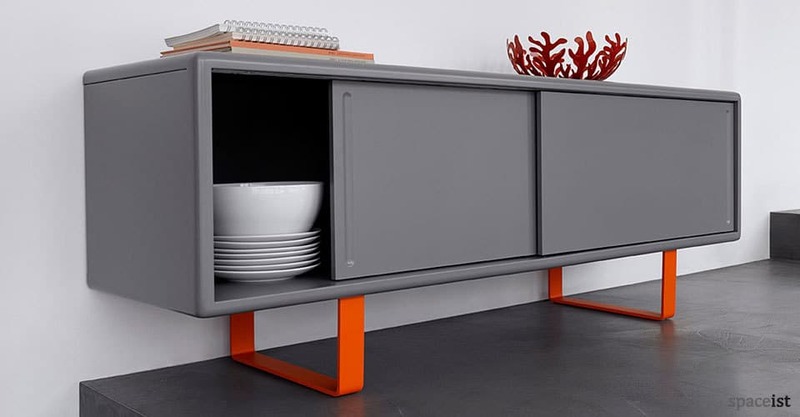 Categories: Storage & side boards, Colourful storage, Meeting storage. 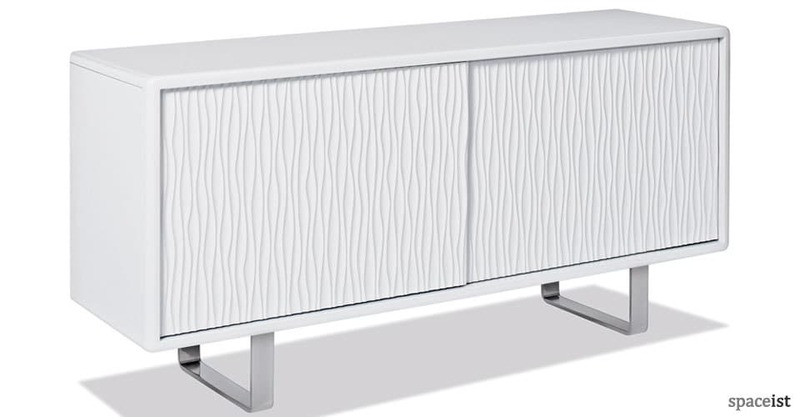 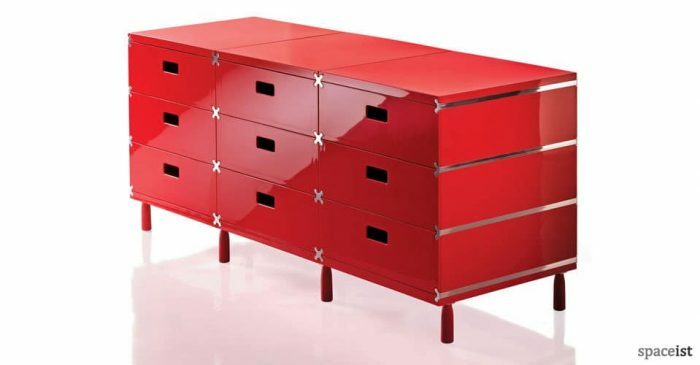 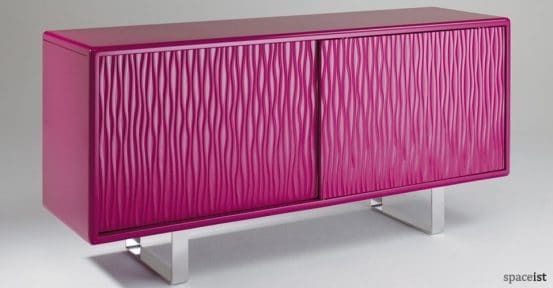 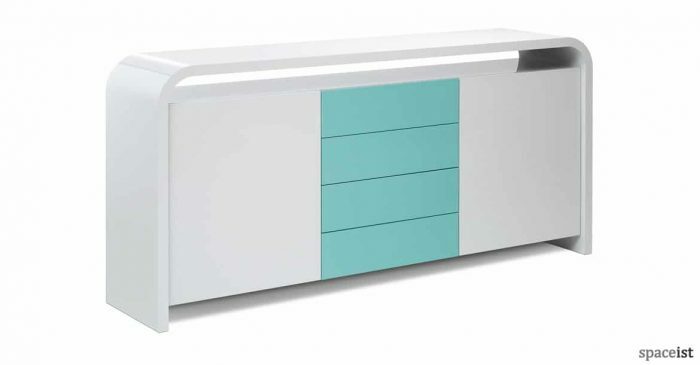 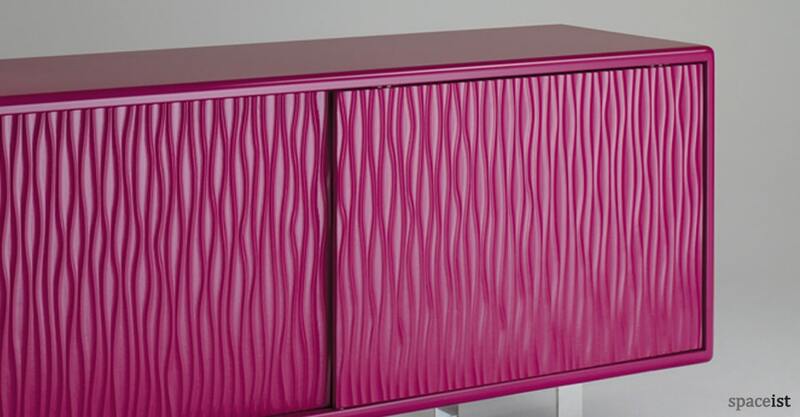 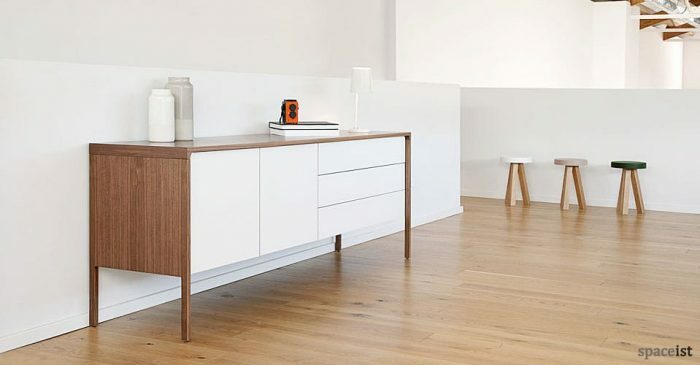 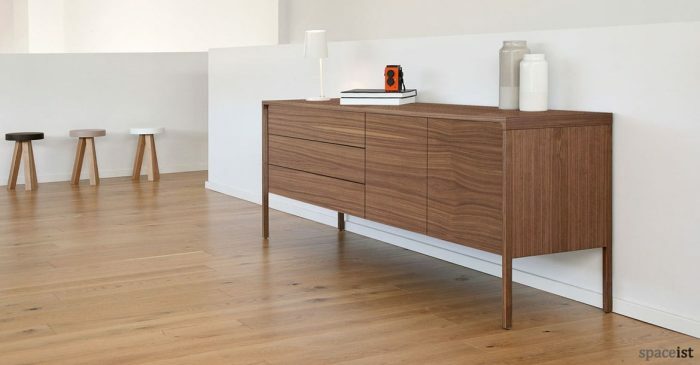 Striking modern credenza finished in a choice of lacquered colours. 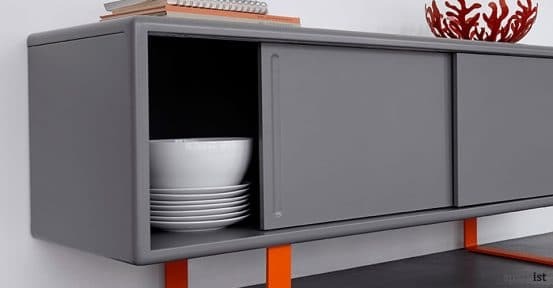 The sliding doors can be finished flat or with a wave corrugated relief as shown. 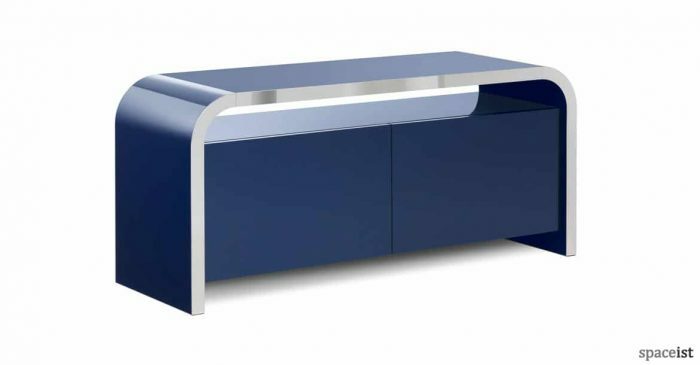 The sideboard sits on a curved polished aluminium leg base. 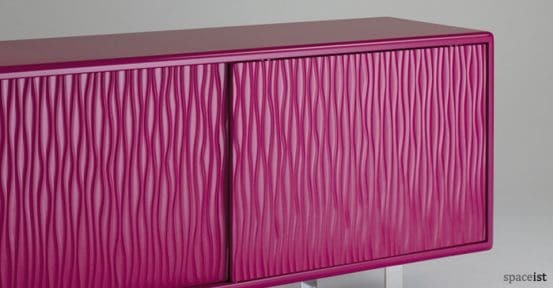 Available with or with-out textured door front.